1. The Right of Fulfilment: To assist residents in achieving their full potential capacity, however small, in respect of their physical, intellectual, emotional and social needs. (d)	The practice of courtesy and respect towards residents at all times. 4. The Right of Individuality: To respond to the individual needs of each resident to enable him or her to maintain a particular identity in respect of beliefs, opinions and reasonable idiosyncrasies. 5. The Right to Esteem: To recognise the qualities, experiences, talents and previous status of each resident. To get to know relatives and visitors and to use this information to maintain the morale of individual residents. 6. The Right to maintain all the entitlements associated with citizenship. 7. The Right to pursue Independence and choice where this does not infringe the rights of others. 8. The Right to Privacy in relation to one’s own space, belongings, financial and personal affairs. 9. The Right to have one’s Cultural and Religious needs accepted and respected. 10. The Right to take appropriate Risks in relation to exercising one’s rights. 11. The Right to have free and clear access to the Complaints procedure without any recrimination. 12. The Right to Access the Facilities within the wider community. 13. The Right to feel Safe within an environment, which is Secure. 14. The Right to have access to Information on files about themselves and to know on what basis this information is shared with others. 15. The Right to be heard though Residents’ meetings/Committees or a Right of Access to an independent Advocacy service. 16. The Right to be Included and/or represented in any formal review of their placement. 17. 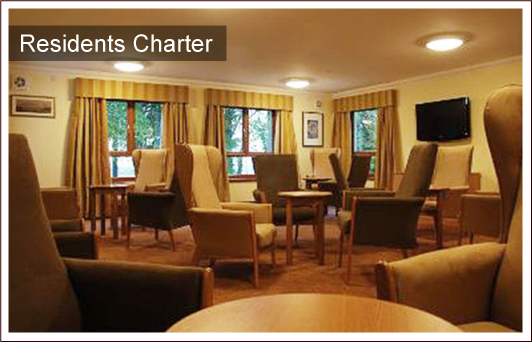 The Right to Security of services at Flemington Care Home through an agreed contractual agreement. 18. The Right to Freedom of Emotional Expression to maintain normal opportunities to develop relationships in or out of the home. 19. The Right to a High Quality of Life to expect a wide range of normal activities to be available, to enable a resident to exercise freedom of choice, and to provide opportunities for shopping, visiting etc. To provide facilities for each resident to follow his/her own particular religious or political pursuits, and to recognise the necessity at times for privacy to carry them out.